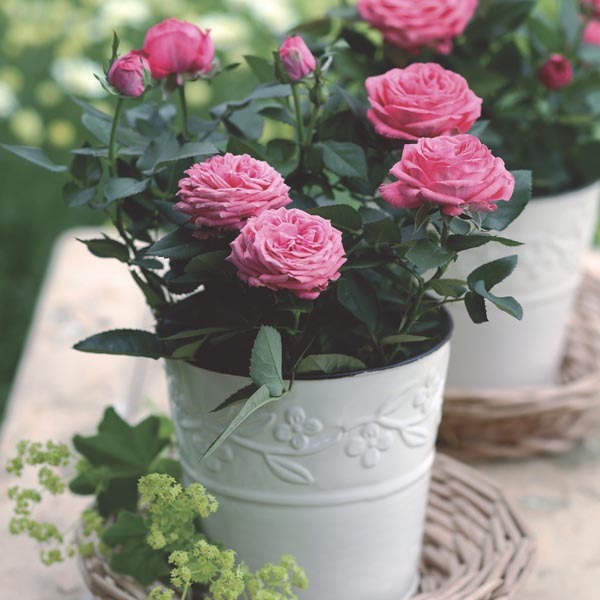 All the beauty of larger roses in a charming miniature plant. Grows well in a sunny window and is great as a centerpiece or decorative accent on a table or counter. Flowers can be cut just like larger roses to create quaint miniature flower arrangements. Easy to grow indoors or outdoors in pots or beds. Makes a breathtaking potted specimen plant. Cut flowers are long-lasting in fresh bouquets. Best in fertile, well-drained soil kept evenly moist. Apply a balanced liquid fertilizer monthly. Remove faded flowers for best display.